How do you teach children about a healthy lifestyle? In The Netherlands 12,3% of the children between four and twelve years old are overweight*. In many other countries, including the United States, this percentage is even higher. Children who are overweight have a higher risk of health problems, in their youth as well as at a later age. 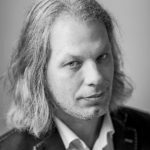 On seeing these numbers Tim Laning, one of the founders of Grendel Games, figured that for this target audience particularly a game might be a solution. After all, playing is learning! The Grendel team started looking for a sympathetic character with which children can identify. Hmmm, maybe Garfield, the world-famous cat with a love for junk food and lounging about, could be the perfect leading character. Tim approached Paws, Inc., the company founded by Garfield creator Jim Davis and Jim immediately responded enthusiastically to the idea. The Grendel team got permission to get started on a game in which Garfield plays the leading part. 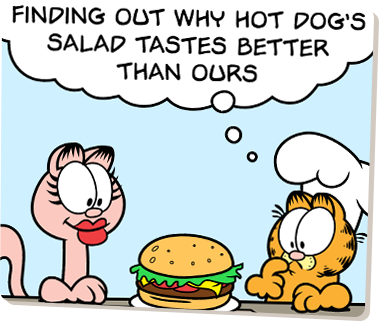 The Garfield game was titled Garfield vs Hot Dog. 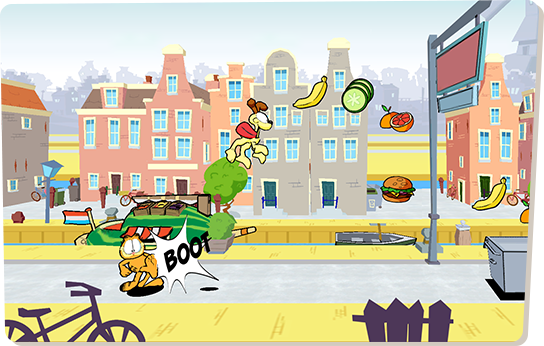 In the game Garfield, his owner Jon and the funny dog Odie travel to various cities spread across the world. 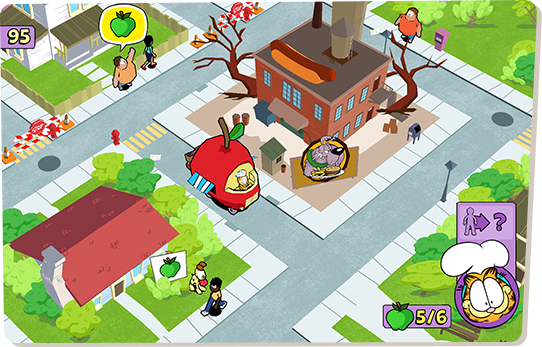 In these cities they battle Hot Dog, the evil genius that wants to take over the world with his fast-food empire. 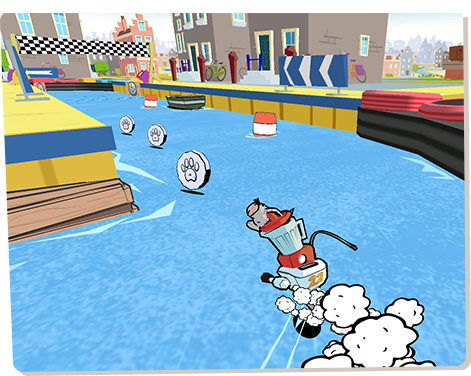 By completing missions and playing fun mini-games Garfield can reverse these unhealthy developments and capture the cities from this villain, neighborhood by neighborhood, city by city and country by country! 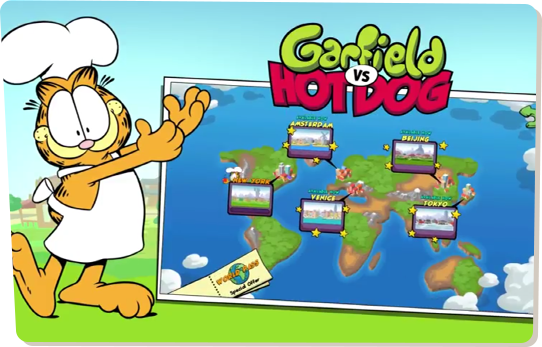 Garfield vs Hot Dog is composed of five cities with seven mini-games. 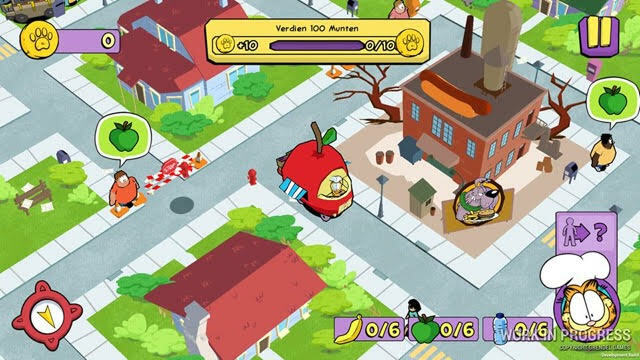 Each game focuses on a specific learning objective, such as the impact of sugar and the fun of exercising together. New York City is freely available for download by everybody from the different online stores. Because the complexity increases with each mini-game, Garfield vs Hot Dog can be played by children from six to eleven years old.